T.MAC restaurants are casual, neighborhood restaurants serving delicious, genuine food, a huge selection of craft beer on draft, and the best sports watching environment anywhere. 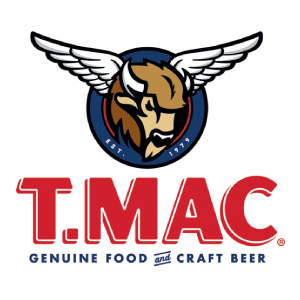 With 30 restaurants in three states, T.MAC was founded as Taco Mac in the Virginia-Highlands neighborhood in Atlanta in 1979. Today, T.MAC has become one the Southeast’s most beloved places for friends and family to come together and hang out. In every location they operate, T.MAC is dedicated to serving the communities that surround their restaurants. 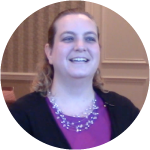 I got to sit down with Lauren at our most recent user conference and learn about how her team is continuing to expand their use of Mirus. Lauren Neale serves as the Director of Finance for T.MAC which has been a Mirus client since 2013. This is your 2nd conference, why do you attend? To learn how other people use Mirus. There were things that I learned last year that I didn’t know that it could do, like dimension maintenance. I didn’t even know that existed. So I’ve used that a lot over the last year. It’s just learning the more in-depth features that you don’t even realize are out there and then thinking about things a different way. Some of the things last year were like, oh, I never even thought about looking at that, we should add that. You guys have added a lot of new integrations to your Mirus data warehouse since last year, what spurred that? The new leadership team really brought a lot of that. They wanted to see new information in different ways. We had talked about getting our loyalty program integrated before that but then we had a big contest on getting people signed up for our loyalty program so we wanted daily feedback for the restaurants on who’s winning the contest and who’s doing well and which team members are driving that and so we really had to get that done really quickly to manage that contest. How does your team utilize Mirus? Our team mostly uses just alerts. We do a lot of daily alerts to our senior leadership team, our managers, and our operations leadership; This is what we’re doing and this is how we’re doing it. They get their information every single morning for everything that happened the day before from sales, to labor to our Brewniversity sign-ups, which is our loyalty program. We do a team member rack and stack every week that goes out to all the teams and it shows what each server has done in each of the sales categories as well so they can develop their team, coach the ones that need some help and congratulate those that are doing spectacularly. We used a hodge-podge of things. As we were trying to get things up to speed with Mirus we still had to rely on Menulink reports and Aloha Enterprise reports and those are very, very tedious. A lot of them are either one time period at a time or one store at a time. You can’t do the combination. So it was very, very tedious before. What things can you do now that you weren’t able to do before? Comparing stores over time frame. We couldn’t do that before at all. The daily alerts. The senior leadership team got very little information and operations got almost none at all. So it has been a completely new world since we’ve gotten Mirus. Have you used Mirus to automate any processes? Absolutely! The daily alerts, even some of the other reports that we were doing before have been much more automated now that we have Mirus. It has streamlined a lot of our other reporting that we could do with our hodge-podge information. Tell me an example of how Mirus has helped you measure performance. The team member rack and stack is probably the one that has been the most driving in our business. There are a lot of those team members that our managers thought were their best team member. They are the ones that would always answer the phone and that’s the only thing that could be measured. Managers were surprised to see that these were not the people driving their business. They were not the people that signed up new loyalty customers, or sold the extra appetizer, the dessert. They really didn’t have a high PPA. So those things were kind of shocking to some of our managers. So being able to see that and coach those team members and say "Hey you’re really good at this area but let’s work on this. What kind of coaching can we give you on merchandising or what kind or retraining can we give you on explaining Brewniversity or the beer program, any of those sort of things". It really helped them to see their team in a whole new way. What kind of results did that produce? Team members that had a really low PPA, they didn’t even really know they had that low of a PPA, so they’ve been able to say, okay, now I know who I can go to. They can even see on the rack and stack, this is the person I need to talk to, this is the person I need to partner with to learn how to do this better. I was actually at an all team member meeting and one of the team members said he was at the bottom of the rack and stack and he’s moved up significantly, and he’s really seen that even in his own pocket because guests tip on what they buy so he’s seen a big improvement in that as well. The ability to combine different data sources. We’ve integrated our POS data, our loyalty data., I can’t even think of all of it. To be able to combine all of those things all in one place to where you can do labor and COGs at the same time. To bring all those things together to be able to do the team member rack and stack and the restaurant level rack and stack as well. Ready to see what is actually going on in your restaurants?